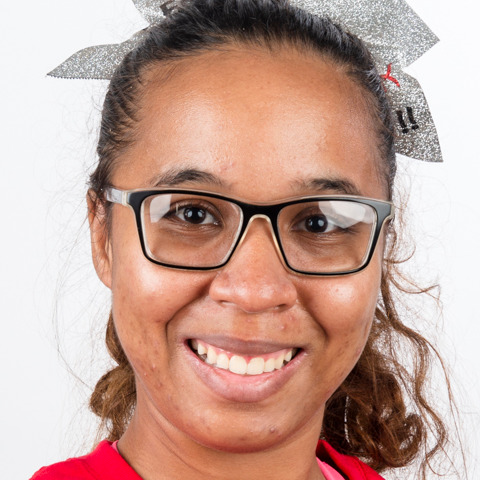 Khiry “Rainie Jade” Thompson has had a life-changing experience with Special Olympics because it has given her a place to not only be accepted but celebrated. She says she started Special Olympics because of her dad. Since then, she has learned that hard work and dedication pay dividends not only on the track but in life as well. Rainie also participates in Toastmasters and does public speaking events for Special Olympics Hawaii. Despite being told she would never be able to cut it in school, she earned her high school diploma. She was also in ROTC Air Force through high school where she was a Technical Sergeant. She is inspired by Olympic runners, Flow Jo and Usain Bolt. Outside of sports, Rainie enjoys painting and making jewelry. She aspires to be an actress and was once an extra in the TV show Hawaii 5-0. She has dreamed of standing on the Special Olympics World Games podium with a medal around her neck for more than 5 years, so being selected to compete in Abu Dhabi is truly a dream come true!